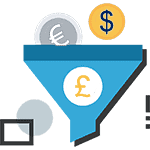 Get a mini audit of your AdWords campaigns! 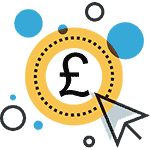 We have recruited many new customers through our website, pay per click and display advertising campaigns and we are confident this number will continue to grow under Ian’s management. The results have been fantastic. Thanks to Expose Profits, I’m getting around a 10:1 return on my ad spend in Adwords which i’m very happy with and it keeps me very busy. On average, our clients see a 42% increase in the amount of leads their website produces within 6 months or less. Expand your business with the help of a trusted Adwords expert. Google Partners are online marketing companies trusted by Google and Expose Profits are proud to be an accredited Google Partner. This gives you the piece of mind to know your campaigns will be managed and improved by specialists who are tested and accredited by Google. The Google partner badge recognises companies that excel with Google’s products. Their businesses are healthy and their customers are happy.